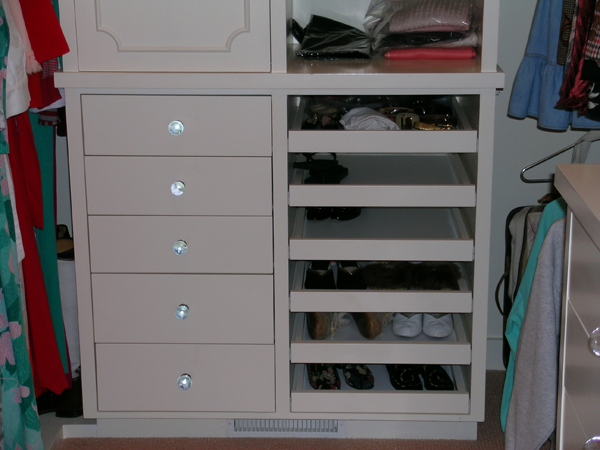 We have been designing and building custom closet cabinetry and closet systems for the past twelve years. 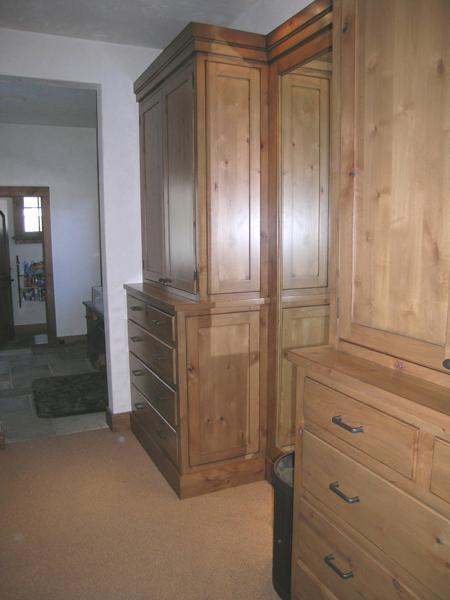 We have also been supplying closet system parts and cabinetry for other closet companies within the Wood River Valley. 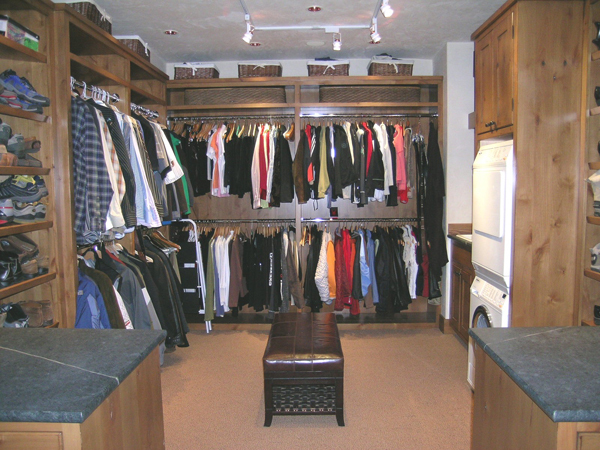 We can design, build and install a custom closet to suit your needs and budget. We have designed a standard closet system that has many different part types and sizes that can be installed very quickly and easily. We use a CNC machine to cut all of our cataloged parts, so the labor costs for producing these parts are greatly reduced. This is a savings that is passed onto the customer. 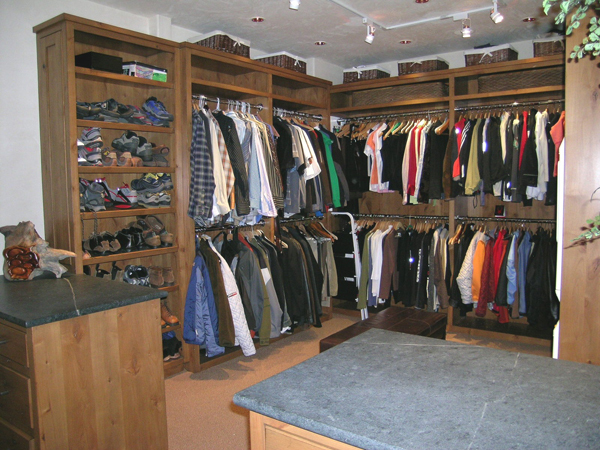 We can design and build high-end custom all wood closets that are stained and finished to match custom cabinetry in your home. These cabinets can be built using any wood or materials that you want and finished to match. 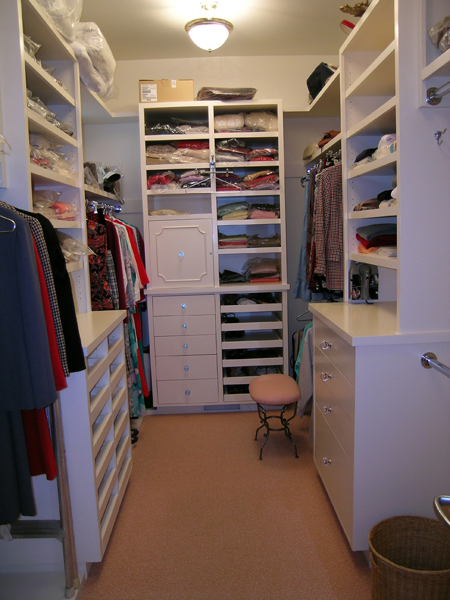 We also build custom closets using melamine materials of many different colors that are more moderately priced. 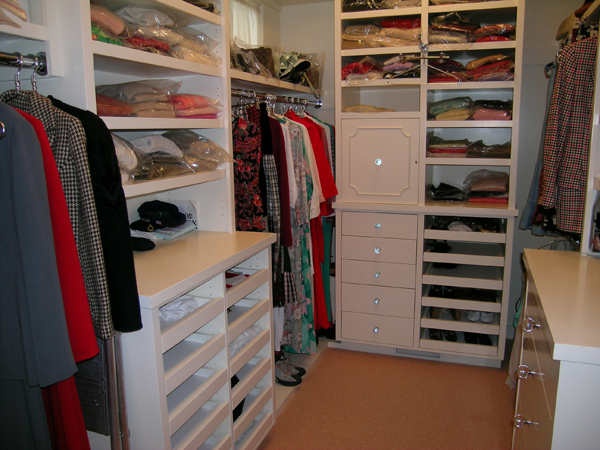 Both of these types of closets can be custom designed to suit your special storage needs. 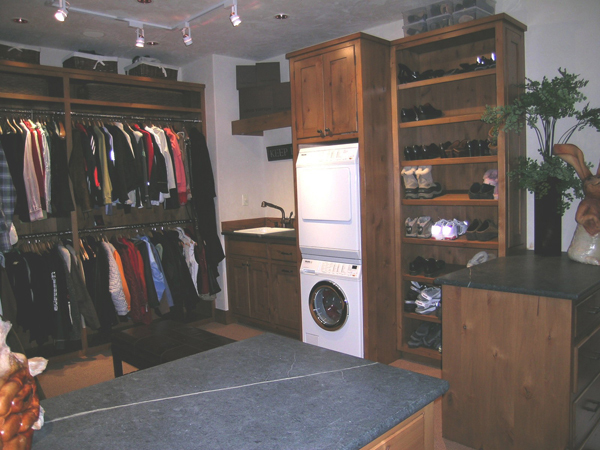 We can also supply complete standard closet packages with design drawings for installation by builders that want to have their carpenters do the installation. The builder can select a standard design that fits the space closely and make slight adjustments by cutting down top shelves and moving over vertical partitions to fit their space. This is a great option for builders that want to keep their employees working during slow times. The other option is to have us take care of the installation with our skilled installers.